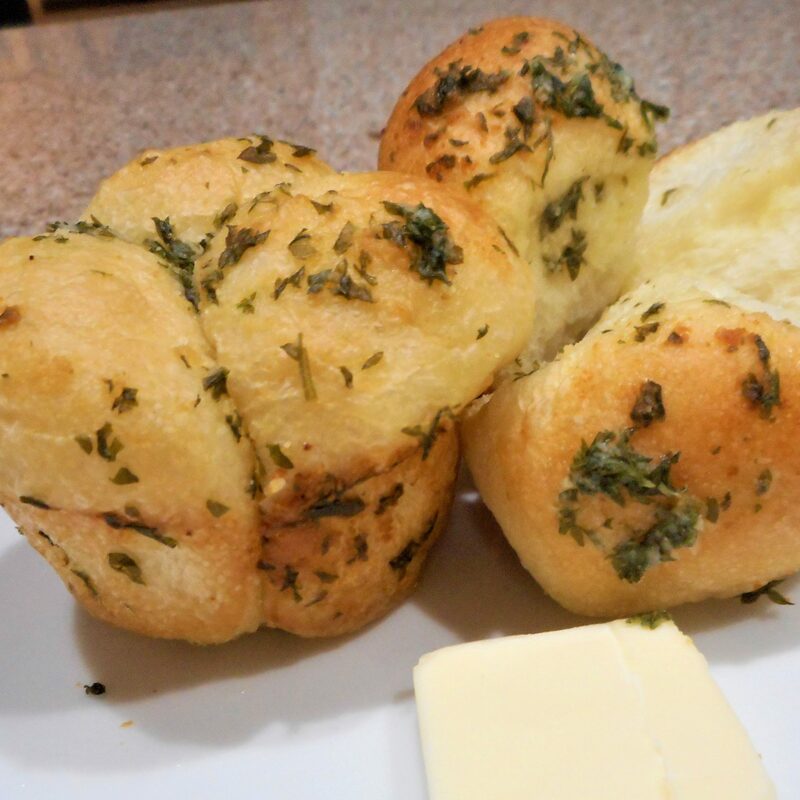 Starting with frozen dough from the grocery store, these impressive dinner rolls couldn’t be much easier to make. 1. Preheat the oven to 350° and lightly grease a 12 cup muffin tin. 2. In a small bowl, combine the melted butter, parsley, garlic powder and garlic salt. 3. Cut each ball of barely thawed dough into 3 pieces and dip into butter mixture. Place the 3 pieces together into one cup of the muffin tin, making 12 clover leaf rolls. Drizzle any remaining butter over all the rolls. 5. Bake at 350° for 20 minutes or until golden brown.